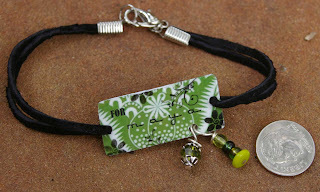 I made a new little bracelet for Maya, our honored teammate. I'm hoping this one will generate a lot of sales. It's super sweet and fun to make and I think people would like to be reminded that the $11 (including shipping!) they spent did some good! !